This is a realization of Standchen by Schubert. It is song number 4 from his Schwanengesang lieder cycle, composed in 1828 and published in 1829 just a few months after the composer’s death on 19 November 1828. The song is a setting of a poem by Ludwig Rellstab, “Leise flehen meine Lieder”, in which the singer exhorts his lover to make him happy. 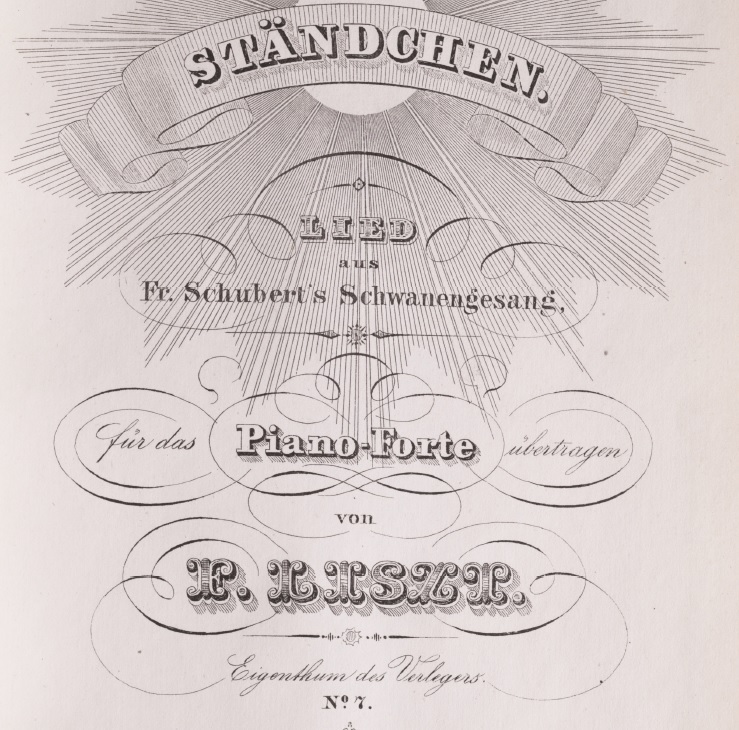 Lizst recomposed the song into solo piano around 1839. The tuning uses some otonal and utonal scales from the tonality diamond to the 31 limit. The piece is realized using Csound on Prent’s Microtonal Slide Bosendorfer.